4 Bedroom Detached House For Sale in Norwich for Guide Price £465,000. 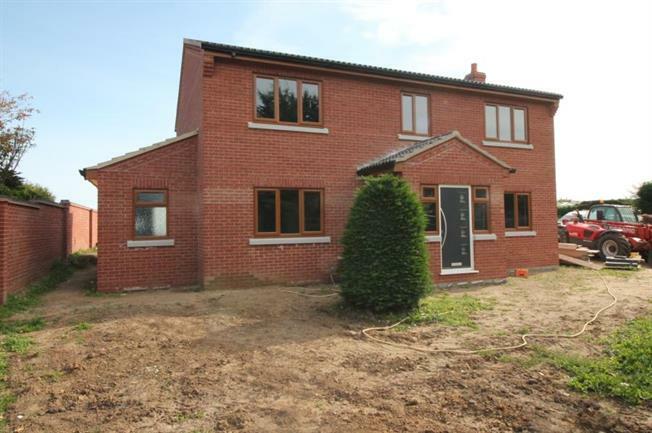 NEW BUILD in Village Location Exclusive and Energy Efficient Four bedroom detached house in the wonderful village of Moulton St Mary. This brand new property has been exquisitely designed too offer maximum space for modern day living, ideal for growing families. Internally, downstairs accommodation will comprise of porch entrance, leading into a beautiful entrance hall with plentiful storage, dual aspect living room with wood burner and French door leading onto rear patio area, large kitchen-dining room again with French door leading out to the rear, the all important utility room, shower room and study. Too the first floor you will discover a spacious landing area, four double bedrooms, with en-suite to master and family bathroom. Outside the property you will find a fully enclosed lawn garden with field views, patio area for entertaining and al fresco dining. Along with this, the property benefits from a double garage and driveway providing ample parking for multiple vehicles. The property will be fitted with an air source heat pump along with luxurious under floor heating to both floors and individually controlled thermostats to each room, making it extremely energy efficient to provide low running costs. With building works currently in progress, a prospective buyer has the opportunity to choose from a wide range of kitchen and bathroom fittings (from developers chosen supplier) to make this wonderful property their own. Viewing is highly recommended to truly appreciate what this home has to offer.